The Velux TGF 014 1000 Sun Tunnel Tubular Skylights with Low-Profile Flashing and Flexible Tunnel are designed to make your housing space brighter with energy-efficient and natural light. The Velux skylights are best installed in rooms with flat ceilings: bathrooms, closets, and hallways. 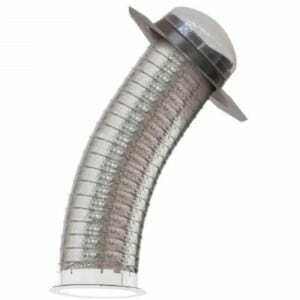 The Velux TGF 014 1000 skylight has flexible tubing that can be installed easily around attic obstructions. The Velux Sun Tunnel Tubular Skylight also has the original one-piece low profile metal flashing, which is parallel and blends into the roofline. The Sun Tunnel Tubular Skylights include a high-impact polycarbonate dome for hurricane prone areas.